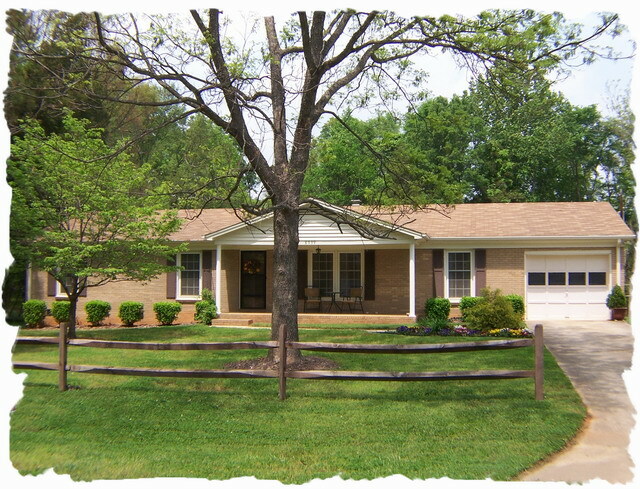 8939 Myra Way – Charlotte, NC 28215 Bedrooms: 3 Full Bathrooms: 2 Half Bathrooms: 0 Square Feet: 1,500-1,900 Lot Size: .94 Hard to find ranch home on almost an acre. Home is in pristine condition and ready for new owner. New roof in July of 2010, all new kitchen & appliances in 2005, replacement windows, heat pump in 2004 and updated electrical. This home offers large bedrooms, kitchen that is open to den with a sit at bar, 1 car garage and storage building/garage. Convenient location! Some properties that appear for sale on this website may subsequently have been sold and may no longer be available. This entry was posted in Acreage, Buyers, Charlotte, Charlotte - NC, Lee Ann Miller Team, Lee Ann Miller Team Listings, Mecklenburg County - NC, North Carolina, Real Estate - Buyers, Real Estate - Sellers, Relocation and tagged Acreage, Buyers, Charlotte - NC, Charlotte Listings, Homes for sale with acreage, Lee Ann Miller Team, Mecklenburg County - NC, North Carolina, Real Estate - Buyers, Real Estate - Sellers, Relocation by Lee Ann Miller. Bookmark the permalink.